My First Book of Mandarin Chinese Words is a Mandarin / English picture dictionary that will teach new words and phrases. Colourful photographs and simple labels make learning Mandarin or English easy. Each double-page spread features a topic-based photographic scene with objects labelled in English and Mandarin Chinese. The word labels also feature the Pinyin pronunciation, which helps English speakers to pronounce the Mandarin words. 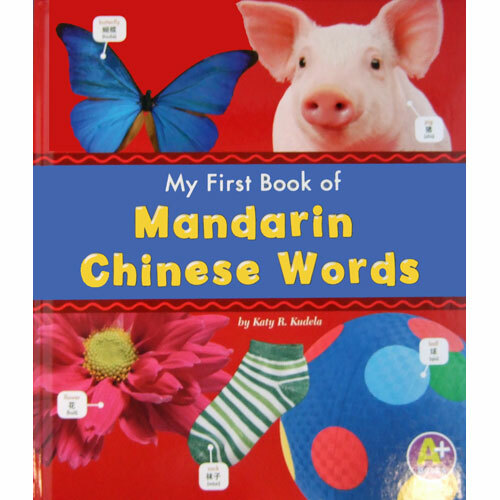 My First Book of Mandarin Chinese Words is aimed at children aged 5+ who are learning Mandarin Chinese. It would also be suitable for young Chinese children learning English as an additional language, although the guidance notes and pronunciations are aimed at English speakers learning Chinese. A nice simple little book. It introduces the appearances of written Chinese. The characters without experience or a teacher leave the Chinese unreadable. The purposes of the book would be furthered by inclusion of pinyin. then the book objectives can be furthered by introductions to character tones and construction too. This book DOES have pinyin to help pronounce the words.